Ma Long, landmark in reach but still more goals? Winner of all the major titles the sport has to offer but the ambition still burns in the heart of Ma Long, the desire for yet another major landmark in his career, at the forthcoming Seamaster 2018 ITTF World Tour Lion Japan Open, which commences on Friday 8th June, being preceded by a two day qualification tournament he can take a major step forward to being the most successful ever. The goal is to be the most successful ever in the history of the ITTF World Tour, to be the “Legend of Legends”. Success at the recent Seamaster 2018 ITTF World Tour Platinum Kaisa China Open in Shenzhen means that Ma Long is just one win short of equalling the all-time ITTF World Tour Men’s Singles record of Vladimir Samsonov of Belarus, the owner of 27 such titles. Even just one short is a remarkable record, one that is even more remarkable if we consider whenever Ma Long has played, the might of China has been present. Only on two occasions has the opponent he overcame in the final not been an adversary who one time in their careers reached the top spot on the World Rankings. The odd men out are Korea Republic’s Joo Saehyuk whom he beat in the 2012 Hungarian Open final and colleague Yan An, the player he defeated one year later in Doha. Add the Grand Finals, Ma Long is already ahead. He has emerged successful at the prestigious end of year tournament four times, for Vladimir Samsonov it is one such success. In 1997 he won in Hong Kong when I would suggest he was at his zenith. Victory in Kitakyushu will bring Ma Long level with Vladimir Samsonov but in overall terms of titles he has still some ground to cover. Notably, his now retired colleague Ma Lin secured a total of 52 titles on the ITTF World Tour; he won 20 Men’s Singles events and, with various partners, was crowned Men’s Doubles champion on 32 occasions. Ma Long is five short; in addition to his current 26 Men’s Singles titles, he has struck Men’s Doubles gold 21 times; the number is 47 overall. Now add to Ma Lin’s score at the Grand Finals two Men’s Singles and five Men’s Doubles titles, the staggering 59 titles is his tally. In fact he moves further ahead of Ma Long, who at the Grand Finals has won five Men’s Singles and one Men’s Doubles gold, the Ma Long sum is 53 in total. 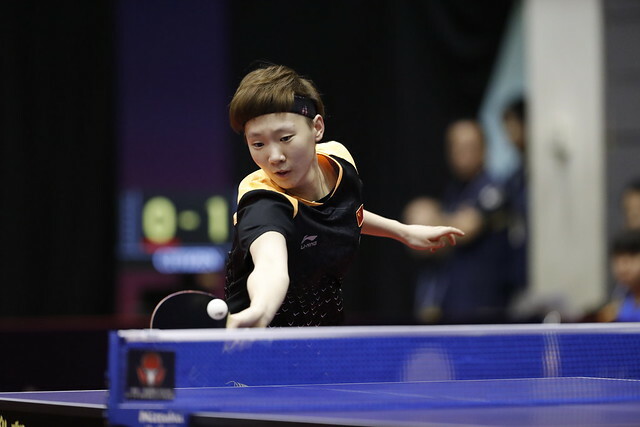 Meawhile, if we bring female achievement into the equation; in terms of singles success, Ma Long is still three short of colleague Zhang Yining, she won no less than 29 ITTF World Tour Women’s Singles gold medals. Furthermore, you can add 21 Women’s Doubles titles, whilst at the Grand Finals she was the Women’s Singles champion four times, the Women’s Doubles on two occasions; her overall total is 56; three ahead of Ma Long. “The Legend of Legends”, just claim for Ma Long supporters but perhaps is there still some ground still to cover, more milestones to reach?